For my first real post I decided to jump into the Crystal Crowned tour by introducing you to Solaris. The Air Awakens series by Elise Kova is amazing. It is one of the first series after The Hunger Games, Divergent and Throne of Glass where I said to myself YES! I need all of these books in my life. My life is not complete without them. I got book 1 as a gift from my very good friend and booktuber: ReadingMissFroggy. After I read it I immediately bought the next two books that were already published: Fire Falling and Earth’s End and I joined the Tower Guard. 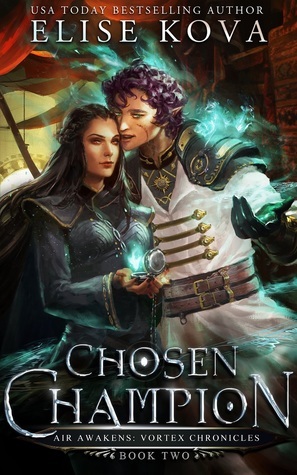 I was lucky enough to receive Water’s Wrath not long after and now we are close to getting the very last book in the series: Crystal Crowned, which comes out the 12th of July. I am obsessed with these amazing books so I wanted to introduce you to this awesome world for my first few posts. Over the course of the next two weeks you will be able to read reviews from all of the books. 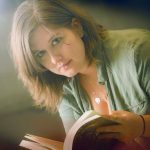 You’ll also learn some fun facts and you can participate in an amazing giveaway that Elise set up. Perhaps I’ll throw in my very own little giveaway too. Now without further ado: Welcome to Solaris! As you can see the world is divided in North, East, South and West. The emperor of Solaris resides in the South, it is here he rules the entire land from. Through the books you enter every corner of Solaris. Book one starts in the South with a little booklover discovering she is so much more. Book two and three mark the march up to the North. 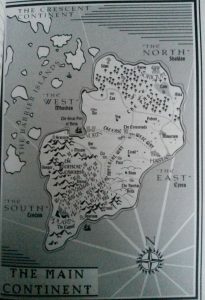 During the fourth book we find Vhalla in the West and later in the South and the last book touches everywhere. The terrain is not different from our world. It’s got regular villages, stormy deserts, icy mountains and dense woods, but its got so much more. South and West have a strange alliance, while the Emperor in the South is very much the ruler, the West likes to have some independence and is not afraid to show it. 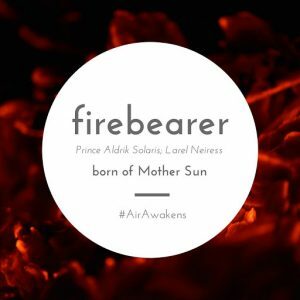 Their alliance comes from a marriage between the princess of the West to the Emperor of Solaris. While the marriage did not last long the son born from the marriage keeps the alliance alive. And of course the fact that the Emperor is the ultimate ruler. 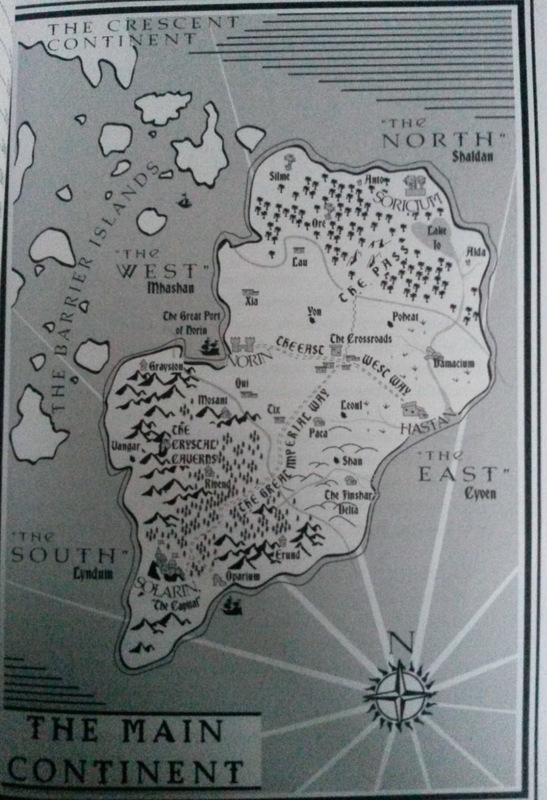 The East used to have many Windwalkers, but something happened that caused them to not have Windwalkers for over 100 years. They are kind people and value respect and honor. The North are and an entirely different kind of people. They are not under the complete control of the Emperor of Solaris. They still hold their independence, to the chagrin of the Emperor. There are two types of soldiers. The commons and the tower guard, or the Black legion. The commons soldiers are trained men and women who fight to protect the Emperor and Solaris. With in these soldiers there is also the Golden Guard. That is the guard that protects Prince Baldair. They are hand chosen by him and they are loyal to the death. The Black legion are soldiers with Affinities. Water, Fire and Earth. They train in the Keep, or the Tower. They can fight as well as any trained soldier, but they have the advantage of powers. The magic of the Firebearer is control over flames.From small tongues of fire to infernos, Firebearers can summon and control flames. A Firebearer’s magical strength, relative to others, is much more important than the other Affinities. Firebearers can burn through most any ice or wood that Waterrunners or Groundbreakers (respectively) can conjure if they are stronger than the sorcerers who conjured them. If a Firebearer is magically superior they can also steal control of another Firebearer’s flames and burn them. From clerical efforts to functional warriors, Groundbreakers have found themselves essential throughout the ages. Interestingly, most Commons have likely interacted with a Groundbreaker, or at least the potions they produce. A Groundbreaker’s innate knowledge of the earth and its plants enables most to find a steady living by producing clerical potions. Groundbreakers often times function as the clerics themselves, increasing the potency of their medicines by adding magic once ingested – should the patient be willing. On the other end of the spectrum, Groundbreakers make coveted poison masters and soldiers. With the ability to turn their skin to stone, expensive and heavy armor isn’t required. Many Groundbreakers augment this ability by picking up close-combat weaponry, fearless of everything from small cuts to mortal wounds. The magic of Groundbreakers is control over earth. Groundbreakers have a mastery over natural formations. They can create new structures out of raw earth and prompt plants to grow. Clerical potions and salves are more effective on Groundbreakers, being attune with them, and nearly all poisons are ineffective, as they cannot be harmed by their own element (unless the poison was crafted by a more powerful sorcerer). The stone skin of the Groundbreaker cannot be penetrated by normal measures. It takes a sorcerer with magic of greater skill to burn or cut through (with an ice dagger) their hardened flesh. With stone skin, their only weak spot is their open eyes. 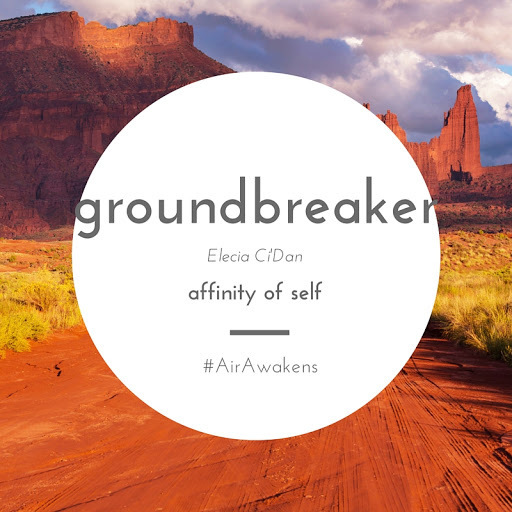 The Groundbreaker’s Affinity of the Self is one of healing. While nearly all Groundbreakers can make effective clerics, some possess skill far beyond natural talent. These talented few can treat bones like stones, mending and hardening them, or mend flesh as easily as they would a torn leaf. 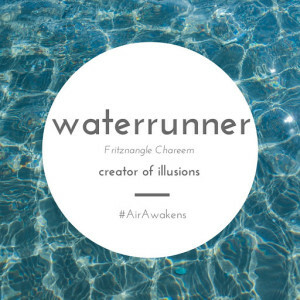 The magic of the Waterrunner is control over water in all its forms. The ability to command the smallest amount of moisture makes Waterrunners practical sorcerers with a variety of applications. They can manipulate droplets of water in the air to make illusions. Waterrunners also have the ability to form ice weaponry by conjuring the element, should they be forced to fight. It has been 147 years since the last Windwalker was known in the Air Awakens world. Hailing from Cyven, today known as the East, much about the Windwalkers are shrouded in mystery. Originally, Windwalkers were integrated in day-to-day society among the various groups and clans spread across early Cyven. But their power was so coveted that they were hunted and killed by Mhashan’s forces at the behest of King Jadar in a mass genocide known as The Burning Times. Following The Burning Times, all mention of magic was outlawed in Cyven. While the laws were since stricken from the record by the Senate of Cyven, prior to the annexation of the Empire, the social norms they created still remain today. As a result, sorcerers are met with polite unease and what was once a rich culture surrounding Windwalkers has been lost, now reduced to nothing more than hushed lore. 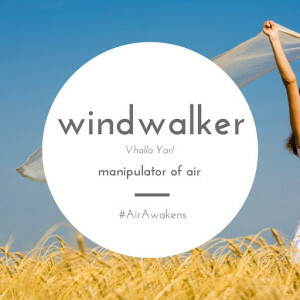 The magic of the Windwalker is control over air and wind. They thrive in open environments with access to plenty of air. Fairly balanced magic, there are a number of combat applications from withdrawing air from an enemy’s lungs to leveraging the power of gusts and storms. Windwalker’s Affinity of the Self lies in the mind. They are able to project their mind beyond their bodies by riding along magical currents. Would you like to find out which affinity you have? Then take this Buzzfeed test. This entry was posted in Air Awakens Weeks and tagged Air Awakens, Crystal Tour, Elise Kova, Introducion, Melisa, Solaris. I need to read these! Also the covers are freaking gorgeous.